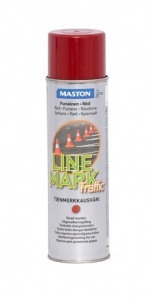 Maston LINE MARK TRAFFIC road and asphalt marker is a alkyd-based, eco-friendly quick-drying and durable marking paint for drive ways, parking areas, yard marking etc.. See the color tone from the cap. Suitable for asphalt, concrete, stone, grass and artificial grass. Shake the can for at least 3 minutes before use and always until you hear the sound of shaking balls. It is also recommended to shake during painting. Use of LINE MARK TRAFFIC painting trolley (part no : 702102 ) makes it easier to paint straight lines of to 5 to 10 cm width. 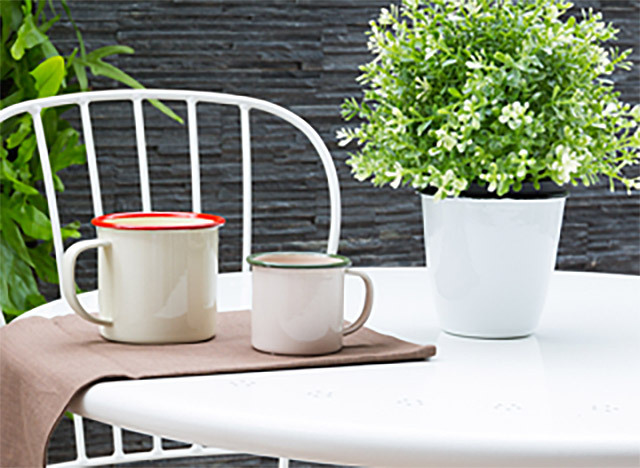 Place the can on trolley upside down and adjust the height of the can to regulate the width of the stripe. When you start painting, move the trolley and push the trigger down. If you mark more than one layer, let the paint dry around half an hour in between. Operating temperature +4°C - +32°C. Clean the nozzle after use by holding the bottle upright and press the nozzle of the bottle until you have to do is propellant. If the nozzle blocks while painting, clean it and start again.